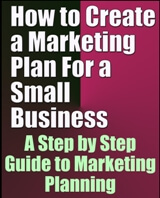 This guide will walk you step by step through all the essential phases of developing a results driven marketing plan. The marketing plan is a problem-solving document. Skilled problem solvers recognize that a big problem is usually the combination of several smaller problems. The best approach is to solve each of the smaller problems first, thereby dividing the big problem into manageable pieces. Your marketing plan should take the same approach. It should be a guide on which to base decisions and should ensure that everyone in your organization is working together to achieve the same goals. A good marketing plan can prevent your organization from reacting to problems in a piecemeal manner and even help in anticipating problems. Our marketing plan should recognize the various segments of the market for your product or service and indicate how to adjust your product to reach those distinct markets. Instead of marketing a product in one way to everyone, you must recognize that some segments are not only different, but better than others for your product. This approach can be helpful in penetrating markets that would be too broad and undefined without segmentation. No matter what you are making or selling, take the total market and divide it up like a pie chart. The divisions can be based on various criteria such as those listed below. Total income of family unit. Job classification blue collar versus salaried or professional. Predisposition - What is there about a person's past culture, heredity or upbringing that may influence his or her ability to consider purchasing one new product or service versus another? Influences - What are the roles of social forces such as education, peer pressure or group acceptance in dictating a person's consumption patterns? Price/value perception - Is the item worth the price being asked? Taste - Does it have the right amount of sweetness or lightness? Texture - Does it have the accepted consistency or feel? Quality - What can be said about the quality of the ingredients or lack of artificial ingredients? Benefits - How does the consumer feel after using the product? Trust - Can the consumer rely on this particular brand? What about the reputation of the manufacturer in standing behind the product? Statements consumers make about themselves through conspicuous consumption can be put to good use by research people who read the signals correctly. By studying behavioral variables, such as a person's use of time, services and products, researchers can identify some common factors that can predict future behavior. You must realize that your product or service cannot be all things to all people. Very few items on the market today have universal appeal. Even when dealing in basic commodities like table salt or aspirin, marketing people have gone to all sorts of extremes to create brand awareness and product differentiation. If your product or service is properly positioned, prospective purchasers or users should immediately recognize its unique benefits or advantages and be better able to assess it in comparison to your competition's offering. Positioning is how you give your product or service brand identification. Positioning involves analyzing each market segment as defined by your research activities and developing a distinct position for each segment. Ask yourself how you want to appear to that segment, or what you must do for that segment to ensure that it buys your product or service. This will dictate different media and advertising appeals for each segment. For example, you may sell the same product in a range of packages or sizes, or make cosmetic changes in the product, producing private labels or selecting separate distribution channels to reach the various segments. Beer, for example, is sold on tap and in seven-ounce bottles, twelve-ounce cans and bottles, six-packs, twelve-packs, cases, and quart bottles and kegs of several sizes. The beer is the same but each package size may appeal to a separate market segment and have to be sold with a totally different appeal and through different retail outlets. Remember that your marketing position can, and should, change to meet the current conditions of the market for your product. The ability of your company to adjust will be enhanced greatly by an up-to-date knowledge of the marketplace gained through continual monitoring. By having good data about your customers, the segments they fit into and the buying motives of those segments, you can select the position that makes the most sense. Positioning on specific product features - A very common approach, especially for industrial products. If your product or service has some unique features that have obvious value this may be the way to go. Positioning on benefits - Strongly related to positioning on product features. Generally, this is more effective because you can talk to your customers about what your product or service can do for them. The features may be nice, but unless customers can be made to understand why the product will benefit them, you may not get the sale. Positioning for a specific use - Related to benefit positioning. Consider Campbell's positioning of soups for cooking. An interesting extension is mood positioning: "Have a Coke and a smile." This works best when you can teach your customers how to use your product or when you use a promotional medium that allows a demonstration. Positioning for user category - A few examples: "You've Come a Long Way Baby," "The Pepsi Generation" and "Breakfast of Champions." Be sure you show your product being used by models with whom your customers can identify. Positioning against another product or a competing business - A strategy that ranges from implicit to explicit comparison. Implicit comparisons can be quite pointed; for example, Avis never mentions Hertz, but the message is clear. Explicit comparisons can take two major forms. The first form makes a comparison with a direct competitor and is aimed at attracting customers from the compared brand, which is usually the category leader. The second type does not attempt to attract the customers of the compared product, but rather uses the comparison as a reference point. Consider, for example, the positioning of the Volkswagen Dasher, which picks up speed faster than a Mercedes and has a bigger trunk than a Rolls Royce. This usually works to the advantage of the smaller business if you can capitalize on the tradition of cheering for the underdog. You can gain stature by comparing yourself to a larger competitor just as long as your customers remain convinced that you are trying harder. Product class disassociation - A less common type of positioning. It is particularly effective when used to introduce a new product that differs from traditional products. Lead-free gasoline and tubeless tires were new product classes positioned against older products. Space-age technology may help you here. People have become accustomed to change and new products and are more willing to experiment than was true ten years ago. Even so, some people are more adventuresome and trusting than others and more apt to try a revolutionary product. The trick is to find out who are the potential brand switchers or experimenters and find out what it would take to get them to try your product. The obvious disadvantage of dealing with those who try new products is that they may move on to another brand just as easily. Brand loyalty is great as long as it is to your brand. Hybrid bases - Incorporates elements from several types of positioning. Given the variety of possible bases for positioning, small business owners should consider the possibility of a hybrid approach. This is particularly true in smaller towns where there aren't enough customers in any segment to justify the expense of separate marketing approaches.